Murphy has been a strong fundraiser. A frame from Rep. Stephanie Murphy's new TV ad. 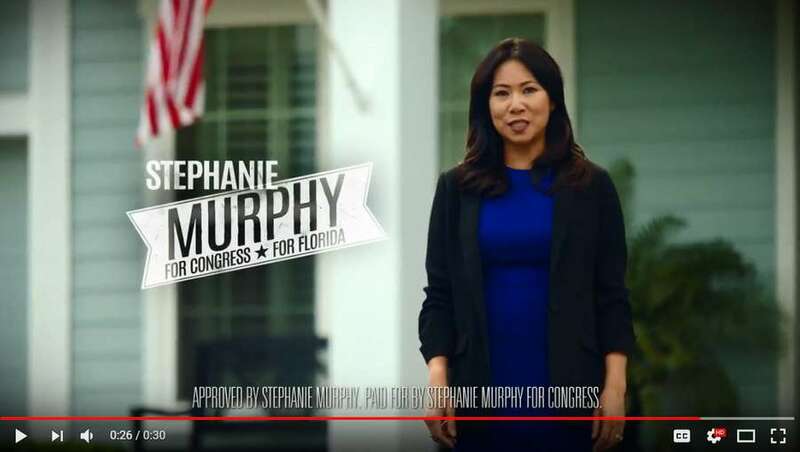 The Buzz has the first look Rep. Stephanie Murphy's first TV ad of the general election, a bio spot that emphasizes that she's "worked with both parties." The first-term Democrat from the Orlando area faces a real challenge from Republican state Rep. Mike Miller but is not considered as vulnerable as she once was and has posted strong fundraising. The Cook Political Report rates the district "likely Democratic." Murphy has reserved TV time through Election Day and begins with today's spot titled "working."